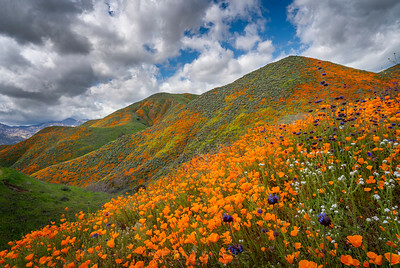 The Poppy Fields in Walker Canyon, Lake Elsinore California during the 2019 Super Bloom. 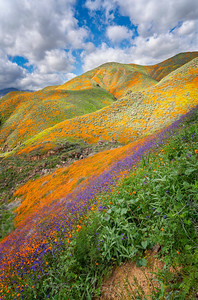 The Super Bloom in the Poppy Fields of Walker Canyon in Lake Elsinore, California. A submarine returning to base in San Diego after a recent storm left snow on the local mountains in the back ground. 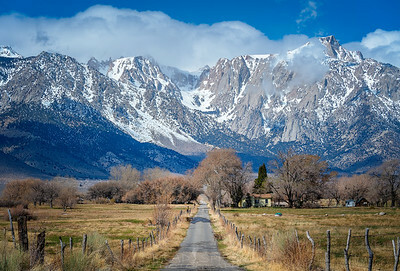 Looking past the city of San Diego from Cabrillo National Monument towards Cuyamaca Mountain after a storm dropped some snow from the night before. Watching the sunset from under the Scripps Pier in La Jolla. 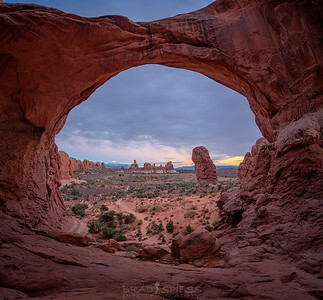 Looking through the south arch of "Double Arch" at Arches National Park in Moab, Southern Utah during sunset. 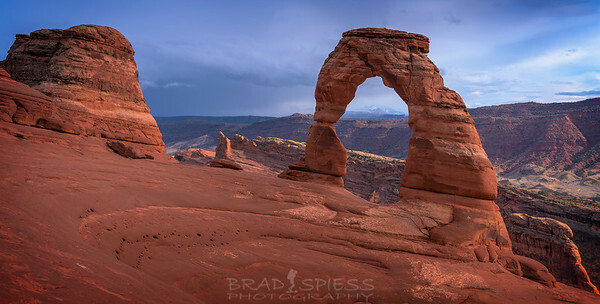 Sunset on "Delicate Arch" in the Arches National Park of Moab, Utah. 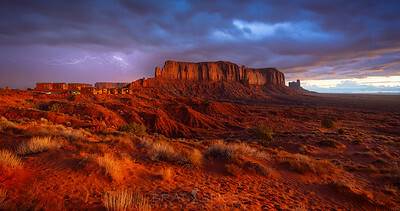 Castleton Tower as the sun starts to light up the upper reaches of the tower during a stormy sunrise. 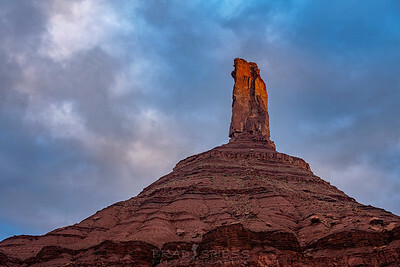 Castleton Tower is a popular area for climbing that is situated about 10 miles away from the town of Moab in Castle valley. 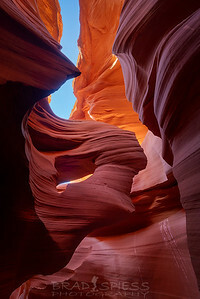 The rock feature commonly known as "Women in Wind" located in the Lower Antelope Canyon slot canyon of Page Arizona. 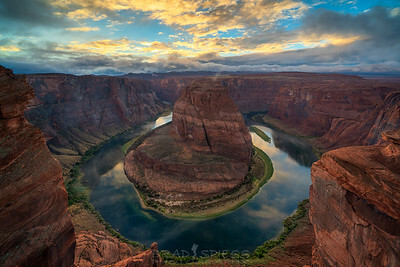 Sunset at Horseshoe Bend in Page Arizona just as the clouds start to break from a rain storm. 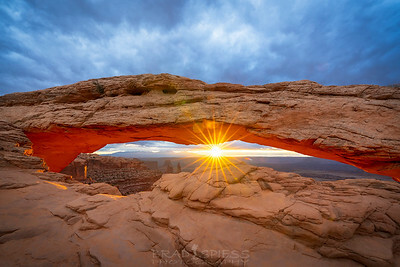 Sunset at Overlook Trail in Zion National Park. 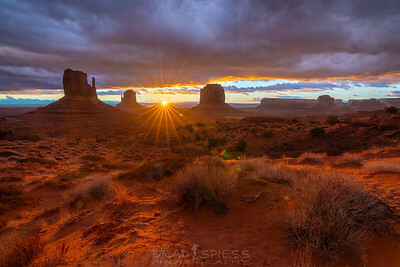 Sunrise at Monument Valley Navajo Tribal Park making the red sands glow. 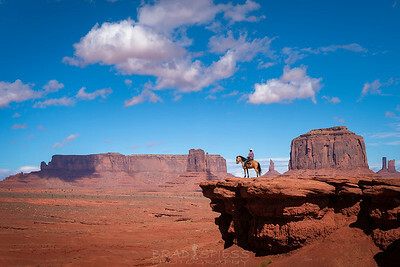 A lone cowboy overlooking the valley below him in Monument Valley Navajo Tribal Park. The rock formation nicknamed "Women in the Wind" in Lower Antelope Canyon, Page Arizona. 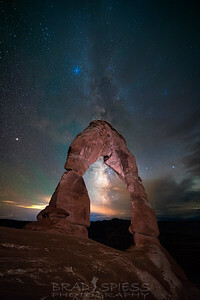 The Core of the Milky Way peeking out from b behind Delicate Arch of Arches National Park in Moab, Utah.